In arid regions, the necessity of food storage is high. In ancient times along, people started the practice of sun-drying fruits, vegetables and other food items and store them for a longer period. Pineapple coin is one among such dry fruits. MM Mithaiwala online store brings you extremely delicious and nutritious pineapple coins at an affordable rate. 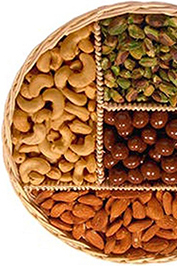 This special dry fruit is prepared by expert hands who give high priority to hygiene. All the pineapples are brought directly from the farms. No artificial preservatives or colours are added to the pineapple chunks. Every food has its own conventional method of preparation. We follow the tradition as such. The cultural collaboration has introduced the practice of altering recipes. MM Mithaiwala chefs are genuinely passionate about good food and health. You can trust us and eat blissfully. If you are planning a picnic or a long tour, pineapple coins are one among the fruit options you can choose to carry. 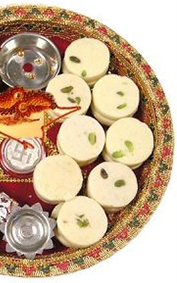 This food item can be consumed as such or mixed with other fruits also. You can add these pineapple coins to fruit salads, toppings for falooda and in many other dishes. A tiny piece of pineapple coins make your dessert a nourishing tasty food. Call us or place orders online in the MM Mithaiwala Online Sweet Store to buy some high quality pineapple coins in an affordable rate starting from Rs.900/kg. We offer free home delivery. Hurry; call us to buy delicious pineapple coins.